Let’s take a moment of silence to say “goodbye” to Key Lime Cove, the go-to destination for Chicagoans seeking a quick waterpark trip. But a moment of silence is all you’ll need. 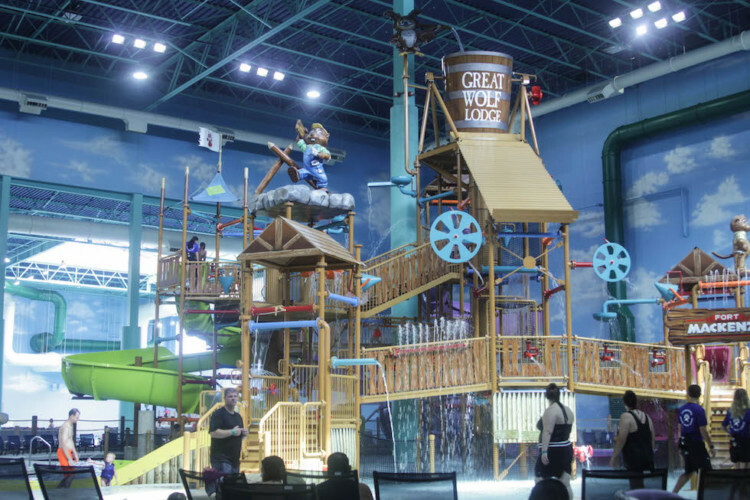 The new $60 million-plus transformation that Great Wolf Lodge in Gurnee made to the former Key Lime Cove spot is way better for kids (and adults) of all ages. Here are some tips for what to do at the new resort. 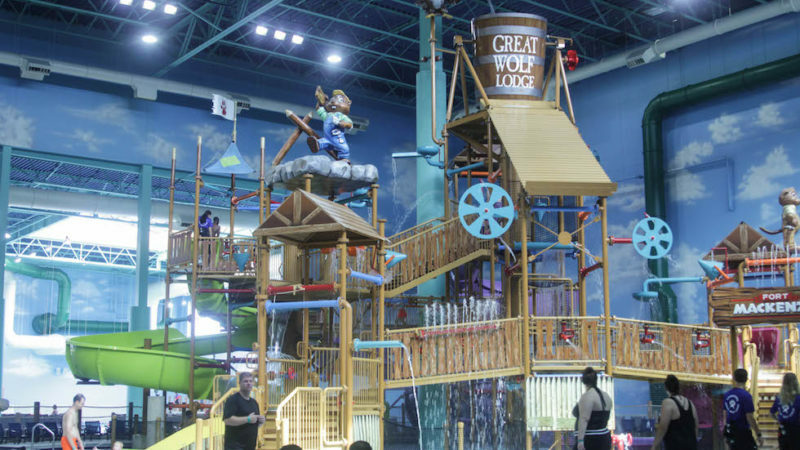 Just a few weeks after it opened, I checked out Gurnee’s Great Wolf Lodge with my 6-year-old, 9-year-old, my husband and my parents. Gotta see if this place is good for everyone, right? 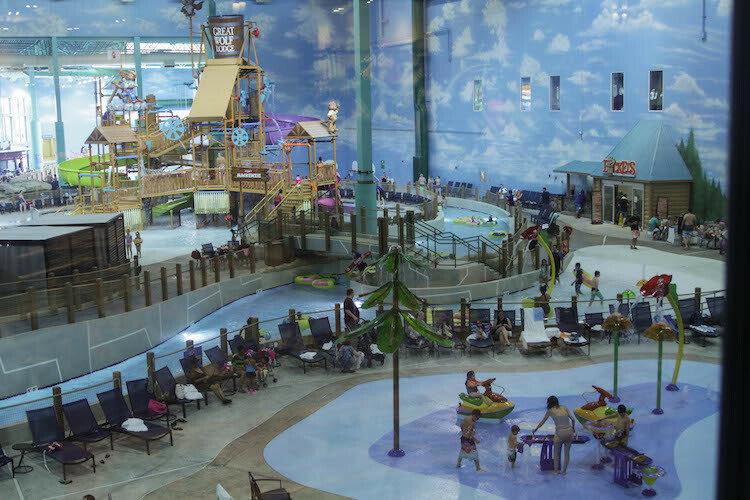 We’re waterpark aficionados, thinking nothing of the 3-hour drive to the Dells because we have a Kalahari craving. 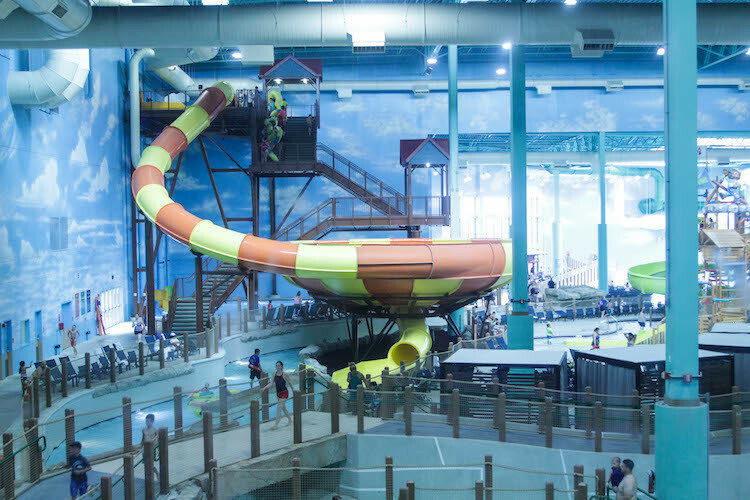 So we were so relieved when Great Wolf Lodge in Gurnee, which is just an hour outside of Chicago, is everything we need in a waterpark and more. They truly thought of everyone with Great Wolf Lodge in Gurnee. While the former waterpark’s age range maxed out around the 8-year-old mark (let’s face it, bigger kids need bigger slides), this one has something for everyone. There are plenty of baby, toddler and preschool areas, complete with cute sprinklers, tiny wading spots and mini-slides. But you expected that, right? In the middle of the waterpark, there are a handful of medium-size slides with plenty of water features including that one that adults dread (and I think kids do too? ): the gigantic bucket of water that will randomly spill on your head at any moment. If the center of the waterpark and all those slides look familiar to anyone who has ever been to the Dells, you’re not going crazy. It was actually made by the same people who made all those fancy waterparks (so no need to go there). They have the coveted toilet slide – you know, the one where you feel like you’re being flushed down the toilet . . . backwards. My 9-year-old was too scared to try it, and my 6-year-old was too short. So I did it. It starts with a scary drop just like a roller coaster, before you go spinning down the toilet. Best. Ride. Ever! They also have a family version of this, where up to five people can sit on a tube. We did this one about 10 times. There are other slides for the older set that aren’t as scary, and these kept my tweens occupied for a full day. Another fun area was the wave pool, which we all loved. My father became a daredevil here, and ditched us all to go on the crazy slides (who knew?). 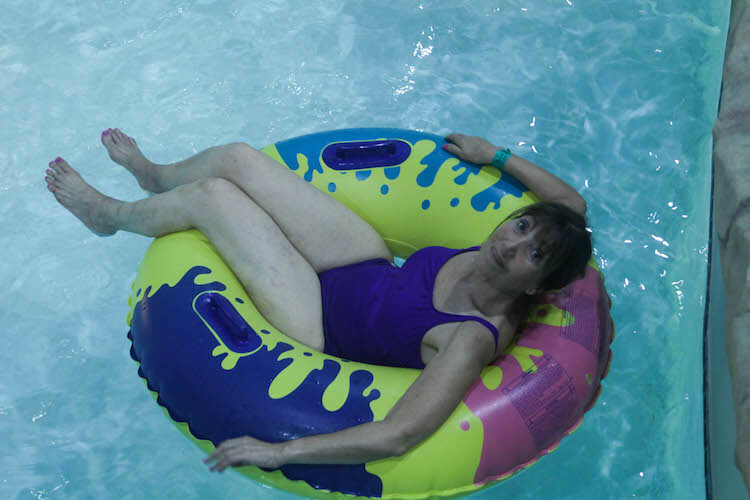 But my mother spent the entire weekend on the lazy river. She met another grandmother on it, and the two of them discussed life as they floated around and around again. If you don’t purchase the Paw Pass or the Wolf Pass, you’re going to miss out on many of the best activities that Great Wolf Lodge offers. 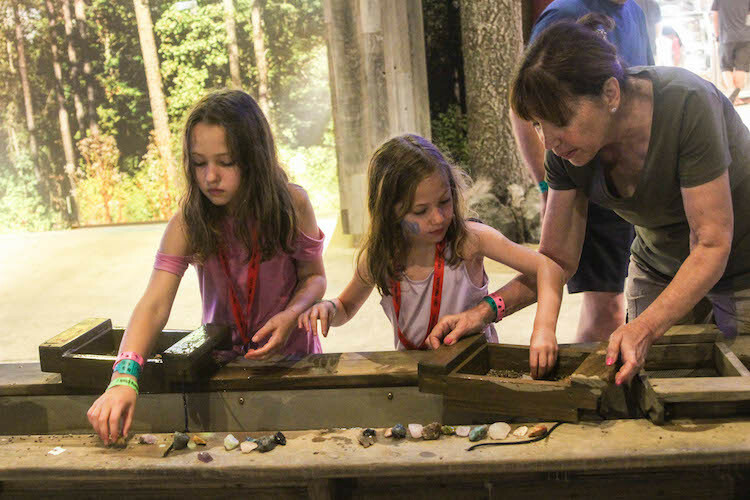 For about $50 (the Wolf Pass), you’ll get access to the ropes course, miniature golf, mini-bowling, a $20 voucher for the arcades, rock climbing, a Harry Potter-like game and mining for jewels. The Paw Pass is slightly less expensive, and gives you a little less access. If you decide to do each activity individually, it’s ridiculously expensive, but the packages are totally worth it. My older daughter did the ropes course nine times, and even my parents tried it once. It was a little tricky for my 6-year-old, but she made it. For her, the best land-activity was MagiQuest, which was essentially a scavenger hunt throughout Great Wolf Lodge, complete with wands and a little magic, Harry Potter-style. The 24-hour arcade is always a draw, and we loved the mini-bowling alley. Surrounding the resort is just about every fast-food spot you could imagine, from Culver’s to Burger King. 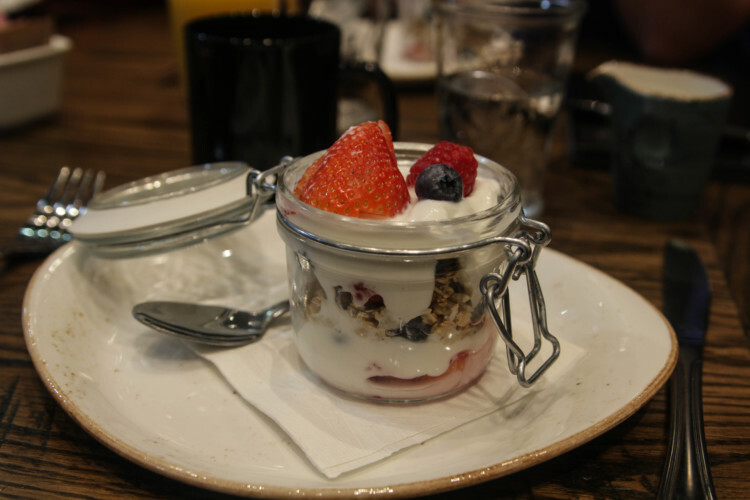 But if you want to stay in the resort, there are plenty of dining options – and we tried them all. Let’s face it: Great Wolf Lodge was designed for kids, so the meals revolve around pizza, chicken tenders and mac & cheese. But they added an adorable permanent taco food truck, along with a farm to fork restaurant (I had breakfast there and loved the yogurt parfait) that’s good enough to attract outsiders. Those with a sweet tooth will be pleased to find a candy store, ice-cream and donuts. Danielle Braff is based in Chicago, but she spends every spare minute planning her next vacation. 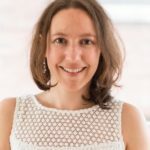 She's a full-time lifestyle reporter, and she usually travels with her two daughters and her husband, leaving their two dogs and two cats at home. Check out her other stories at .